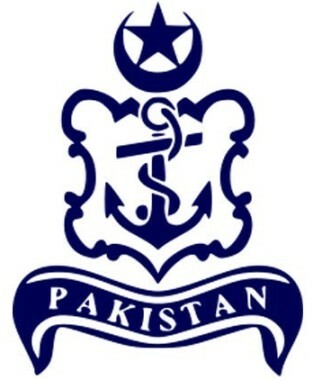 Pakistan navy is one of the prestigious careers in Pakistan. Pakistan Navy protects coastal borders and sea of Pakistan. For talented Pakistani youth Jobs are offered in various departments and disciplines. Officers in Navy work on coastal installation as well as on the naval ships. Youngsters can make bright career in Pakistan Navy. Upon successful completion of all the tests and interview a candidate can get many facilities. They are given training at naval academies. They can get such an environment where they groom themselves professionally, morally, educationally, mentally and physically. Personality traits of individuals are developed which result in proficient Naval Officers equipped with the highest ideals of loyalty, honor, courage and dedication. Free Messing, Accommodation and Uniform will be provided during training. This is the list of all inductions announced twice a year in Pak navy. 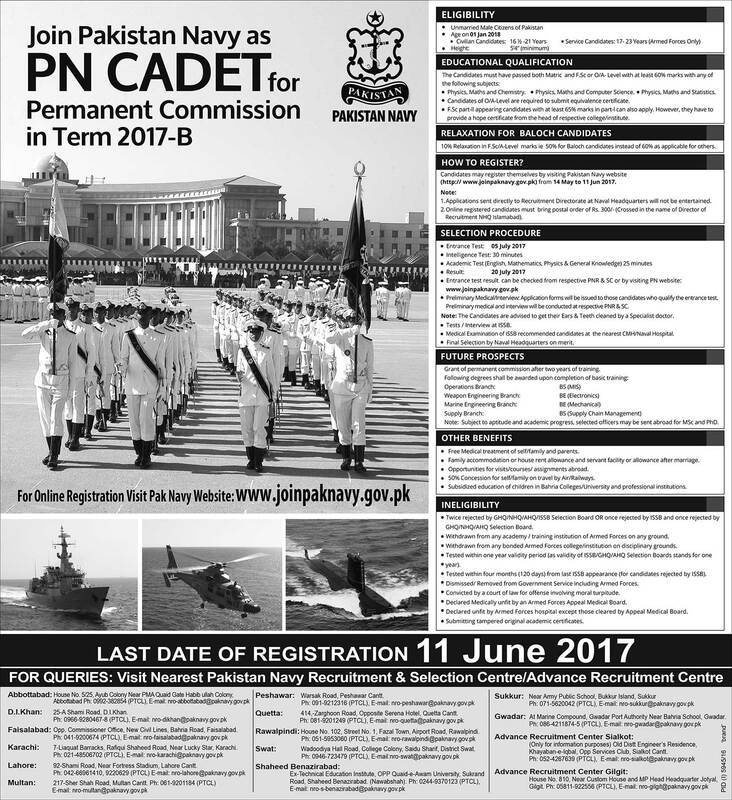 You can join Pak Navy as PN cadet through permanent commission. Officers are enrolled in Pak Navy through this way. Candidates are inducted twice a year as PN Cadet. This type of commission is offered in the following branches after the successful completion of 2 years initial training. The branches include Operations, Weapon Engineering, Marine Engineering and Supply branch. Candidates can apply online by visiting the website www.paknavy.gov.pk. After registering you have to give the intelligence test, entrance test and academic tests. Call letters will be issued to those candidates who qualify the entrance test, preliminary medical and interview. Registered candidates must bring postal order of Rs. 200-/ (crossed in the name of Director of Recruitment NHQ Islamabad) or cash in lieu of postal order on the day of entrance test. Free Medical treatment of self / family and parents. 50% concession for self/ family on travel by Air / Railways. Subsidized education of children in Bahria Colleges / University and professional institutes.